When you’re living in the midst of destruction. Ongoing questions – the ambiguity. Roller coaster of decisions – the ambivalence. Decided convictions – the animosity. Is there a more perfect time to build resentments and regrets? When do I acknowledge the cracks in the foundation will just continue to break? With fewer resentments…can there be less lasting regrets? Perhaps disengaging when blame is such a part of the game and is so alluring could make it a possibility to split with less collateral damage. “Be Switzerland” suggests my dear friend Rebecca. I loved those two words. Approaching the milestone of the three-year mark (*2017 will be four years) of when I first began to close the book on the longest chapter of my life to date, the life and the demise of my marriage – with a person that had been my life since the age of 16. I understood that the emotions and reactions would be happening while in a high state of ambiguity. I had tried to remain mindful that feelings were/are temporary, that given time feelings would change. Yet I had failed to acknowledge that getting through one of the most life-changing events with little to no regret was unrealistic – especially when stress was insurmountable and emotions were running rampant….swinging from high… to low. Although the words might have felt momentarily good when initially expressed, they’d do little to support getting out alive. Getting out with little to no regret. Animosity was the hangover from all the destruction. The white knuckling experienced while deciding to separate is unlike anything else it can be compared to. For me, 42 years, it was a lifetime. Being confused, overwhelmed by untruths, facing truths, feeling fears, pain, grief… and that knowing that desperate feeling of failure. Regret soon knocked on the door. Reminding myself again and again that it was all just feelings, I tried to stay mindful that these feelings too would pass in time. Slowly…. they began to ease up from my shoulders. Heavy feelings easing up, a weight I recognized. this time. I say this time because it was the very same weight that I had ignored before; ignored it by remaining in denial that something had long gone wrong. There were ambivalent days and nights; days that turned into the long nights spent vacillating between “leave” and “stay”. Then finally…..Something just clicked. Finally, I had gotten beyond the sick reasoning with myself. No longer was I telling myself that even though I was miserable I was at least financially comfortable and secure. Trying to convince myself that should be enough. My crossroad. Then…. Finally….A long time it took to get me to finally, but finally was here. Or I was there. I admitted to myself finally that I could no longer endure what had become an unhappy, unsettling personal relationship disguised by a legal matrimonial contract. I had been lying to myself…for a very long time. I had been lying to my spouse even longer. I don’t even know when I began lying to family and friends, I was ashamed to admit that my life wasn’t what it seemed to be to the outside world, I was convinced by what my emotional and my spiritual intelligence knew to be true, but I was diametrically confused by what my heart didn’t trust. Telling myself lies, reasoning, justifying, qualifying… I should stay for financial sake, for the kids sake, even for his sake. Yet, how I could forsake myself? Bargaining with myself… because… well….because I was frightened. I didn’t know any of the answers to even one of my questions. I doubted myself. I was afraid to stay. I was afraid to leap, I knew not where I’d land. How I wish I’d known then was what hindsight has brought me today. Then… with my self-esteem shattered, and looking for validation…I just wish I had known. But I couldn’t deny any longer that if I didn’t move on I was soon to become just another miserable casualty with a broken down soul. When you live day in, day out, with someone who to save their life cannot have a positive outlook on a cup of sugar it can become highly contagious. Knowing and applying that I had no control over my spouse’s behavior were entirely two different things though. When you have lived with broken for so long that some things become a norm it becomes difficult to apply the knowledge. I wish I had know sooner that they should not be anyone’s norm. My experiences were annoyances that didn’t endanger me, but they sure angered me. Not being mindful that my spouse was trying to make my life as miserable as he possibly could would only cost me, resulting in a long, drawn-out, expensive, soul-sucking divorce—If I let it. Instead, whatever the issue or event I vigilantly tried to see it as simply as I could. Leaving emotion out of the equation. Relying on logic as much as I could muster from my NOT logical based nature. It became crucial that although I couldn’t control his behavior that I could choose how I reacted. My choice to take the high road despite how someone else acts is entirely up to me. Though I would prefer not to, I must admit that there were times of despair, even some self-pity. The “my life was not supposed to be like this” and the ” I feel ashamed of failing.” were all part of it..…..I wish I’d known then that this is all part of the grieving process, that learning how to balance it all is also part of the process. Accepting that my circumstances changed, learning how to navigate those changes, learning how to heal, and how to move on; they were all hard lessons for me. I did however learn rather quickly that I am not a prisoner to those circumstances, and that I have the power to come out of this life chapter stronger, and whole. Hindsight is a wonderful thing for looking forward. In hindsight I see there were a few things that should have stood right out from the beginning, but for me I had to almost be hit over the head. Some of those things are what I wish I had known sooner: First and foremost I would make a conscientious choice not to perpetuate the false “I am Fine” statements to myself, and to those closest who honestly cared to ask how I was doing. I wish I’d seen immediately the need for and the validity in a support system with good friends who are able listen while being non-judgmental. They are priceless. Those two notable objectives I wish I had known to attain immediately. 1.To create a safe place to vent. Help find constructive and healthy ways to navigate through a separation and/or divorce. To recognize the need to resist any temptation for making decisions based on emotion instead basing decisions on logic would better serve for making constructive choices. Having an understanding that separation/divorce is a business transaction-splitting years of material things and income would be of great help. The logical side of me understands this, yet my emotional side that feels; could easily inspire months of right-fighting over things that have nothing to do with business at all. 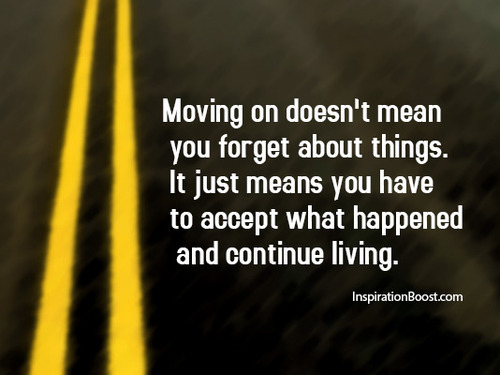 Or moving on. During the legal process I would force myself to choose my battles wisely, choosing to serve my well-being wasn’t something I had much experience with. To say that once the decision was made that I just simply moved on would not be accurate. Though it was my choice to end the relationship there were days I felt like I was emotionally getting sprayed and tossed about by an industrial fire hose. I felt the emotional beat down. The number of “to-do’s” – “should-do’s” – “have-to’s” regarding emotions, finances, legal issues, and the logistics of living came with varying urgency, and with varying importance. There were days and nights I was absolutely overwhelmed and felt paralyzed by my emotions and fears. I now understand splitting-up is a process, and as with any process there are things that need to be dealt with as they happen. Things that need to be addressed immediately: income, lodging, safety. Things to be addressed later: legal issues, finding an emotional support system. And things that would be addressed long-term: a legal separation agreement and divorce. With the benefit of hindsight I would try to remain mindful that a divorce is like a marathon and it requires patience and persistence. I’d recognize that there is some brilliance in accepting that not everything has to be done right now. That one thought alone might have saved me some stress. Three years… and I am still healing, *2017 update-I feel healed. I feel I am where I choose to be. I am grateful that I had the foresight to not attach myself to anyone in those three (*Four) years, to know to not fill in what was different, simply because I had confused being alone as a void. I appreciate today that my foresight included knowing that to attach myself to anything, or to anyone might have distracted me from any real chance to heal, and to become whole. I recognized early on that I needed to learn when to fight for the things that are rightfully mine, but I also learned how important it is to know when to let other things go. Yet I still had to learn that nobody wins in a divorce. After all was said and done I couldn’t reconcile with finding myself robbed of years of a new life just because of right-fighting in court. It made no sense to spend more dollars on legal fees that could instead be better put to use in post-divorce lives. Finally, I could see that I had a choice to look at this split as a trauma from which I would not get over. I could choose to be guided by the anger and fears. Or I could move on without regret. After some difficult consequences I could see the common sense instead in choosing the path of discovery of self-worth. I would ask for help when needed. I would choose to educate myself, to find whatever the support was needed for any given circumstance. Acknowledging that admitting to a need for help is an awe-inspiring strength. I began to understand that I had the power to get through it all. I understood that I was not alone in these struggles, never had been. That whatever I might need was possible. Always was. I had come this far; I owed it to myself to NOT allow any of what I felt in these moments as discomfort to make me bitter, nor will I allow it to drive me into isolating and insulating my heart. I’ve made those choices too. Absolutely my belief too. There’s nothing that can take me from one emotion to another as quickly as music. It’s my go to drug really. Darlin’ you are passed “on”. You are somewhere far beyond what you left and were leaving. You are to what comes next. The best part is it is anything you decide to make it. And, you are making it. It is new and beautiful. It is authentic and brave. It is bold and curious. It is YOU! I so love your description Echo…so cool that it’s YOU of course who mirror my unspoken thoughts. I can’t tell you here just how much having you be such a significant part of my life. Absolutely mourning it’s been Les. So many emotions wrapped up in that small 5 letter word- grief. Thank once again for your kind and encouraging thoughts. It’s why we write, yes? To maybe resonate with someone? I can not begin to tell you how incredibly proud I am of you. You were not only a selfless strong Mommy but a courages, brave, genuine woman for many to look up to. Thank you. This is so well written. There is no anger or judgment in the words only factual motions. This is by far one the best dicription of your life for the last 3 years. I am so honored to be part of the outcome. I am so in love with who you have finally allowed yourself to be, the true you! What an amazing soul you are. I truly believe the rocky roads are what built us. There truly is beauty in the breakdown, you are proof. Oh Jani you make your mama cry with pride over who you are. For you to share here on my blog is always such a welcome surprise, but your words here touch me to my core. You have been my wall to lean on when I couldn’t stand on my own…you have become the truest best friend I could ever of hoped for. You and I have found the bliss in reciprocal transparency that not a lot of people get with someone. I’m blessed that my someone is you, my daughter, who’s been on her own self excavation. I love you Janis Cara! I congratulate you. What you have done is not easy. You have left but, you haven’t. On quite another level your vibe with this friend is strong, and showing a different dimension of love. Yet, this love is one that can only exist as you both move forward, individually, apart from one another. You are filled with this love vibe for yourself, and your friend with full knowledge it prospers only because you are apart. This is a love story that has taken the place of any negative that could be imagined. Again, you have me in awe of your loving example. So awesome to have found your share here. Thank you so much. You have this amazing gift of perception when it comes to seeing with clarity in what I write that leaves me in awe some times. You see the things I don’t say but are every part of the equation. You are spot on in that I have a part of me that remained behind, how could it not? After a lifetime with one person and raising a family together there cannot be regret in what once was. I’m happy to say that coming out on the other side whole is an extraordinary place to land. I hope all is well with you and yours my dearest groovy brother, it’s always smile worthy to see you sharing. Be well my dear Groovy. OMG Cheeky Cherub – I have missed you sooooo much! You were one of my first blog friends and I am so sorry I didn’t realise what you were going through – well not exactly – plus my own blog efforts have been a bit haphazard of late. I admire what you have written in this post. You are wonderful! Oh Jules I am always touched to my core when you and I connect. I have been missing you too. I always need to get caught up with you my amaXing soul sister. Please know that I was always veiled when I wrote about my personal life so you were not missing anything. Blogging is where I am behind my own behind and I finally stopped feeling guilty. Your friendship means the world to me, I am negligent in saying so and showing it so. I love you Jules for being so unconditionally loving.